Together we have shared many joys as well as sorrows through the years, and always have come together as a family to support one another. This week we all are deeply saddened to learn of the passing of a beloved parent and member of the Seton family. After bravely battling cancer for many months, Mr. Steven Armstrong passed away on Monday. He is the father of Mason, a fifth-grade student. Please remember the Armstrong family most especially in your prayers as they move through this difficult time. Step Up for Students Scholarship Renewal families must apply BEFORE January 31, 2019, for priority processing. Families applying for the first time for the income-based scholarship for 2019-2020 may go to the Step Up for Students website and sign up on the “interest list” to receive notification when the application becomes available. Previously videotaped mass with students will be televised on WFTX Fox 4 at 10:30 a.m. on Sunday, January 20th. HELP NEEDED and the countdown to our event is on!! 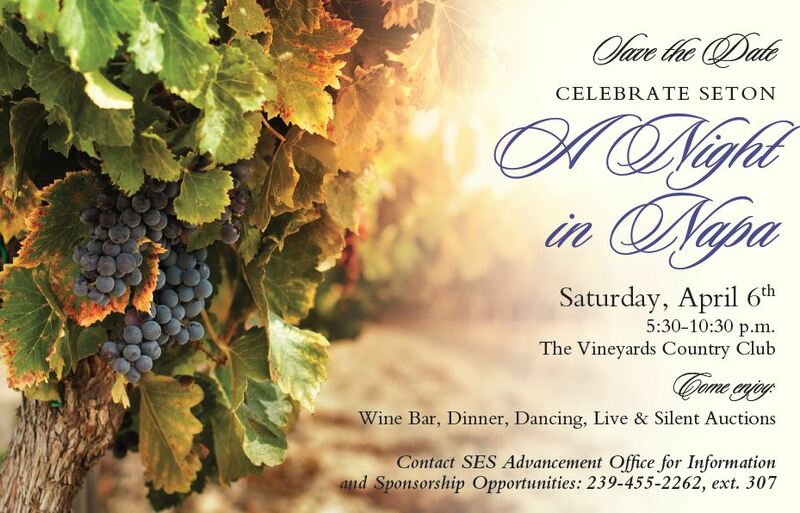 Do you know some area businesses that would be willing to donate items for the auction? Forms are available in the Advancement Office. We are accepting gift cards (any amount) for goods and services, as well as bottles of wine ($10 value and above) for our auction. Please consider donating! UPCOMING EVENTS ~ SAVE THE DATES! 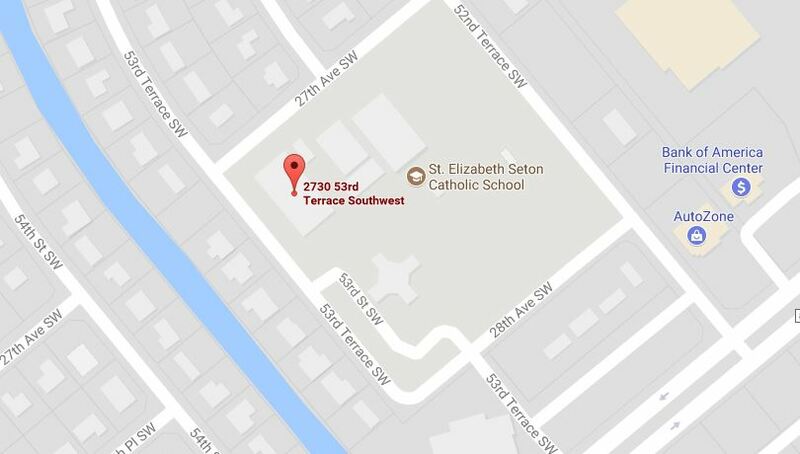 SES OPEN HOUSE ~ Sunday, January 27th 10:00 a.m. to 1:30 p.m. 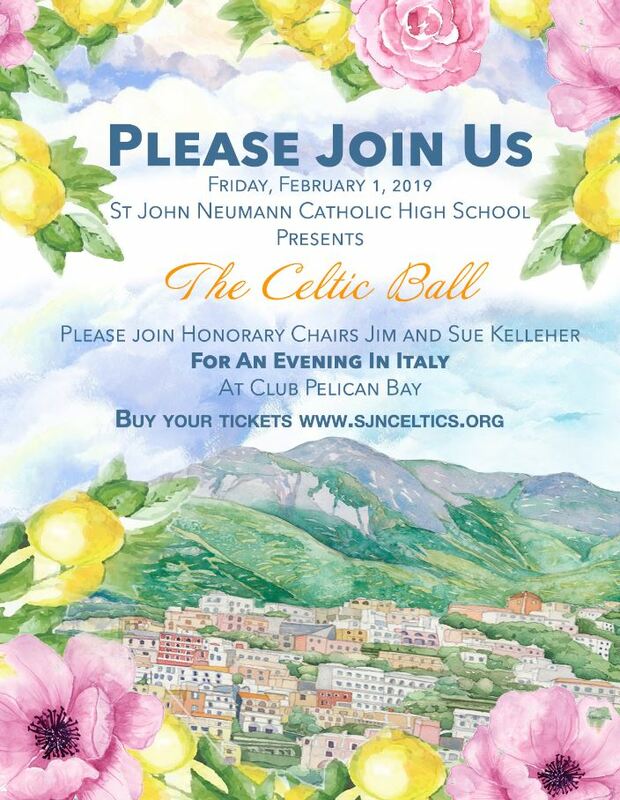 Please spread the good word about Seton and encourage friends to attend! 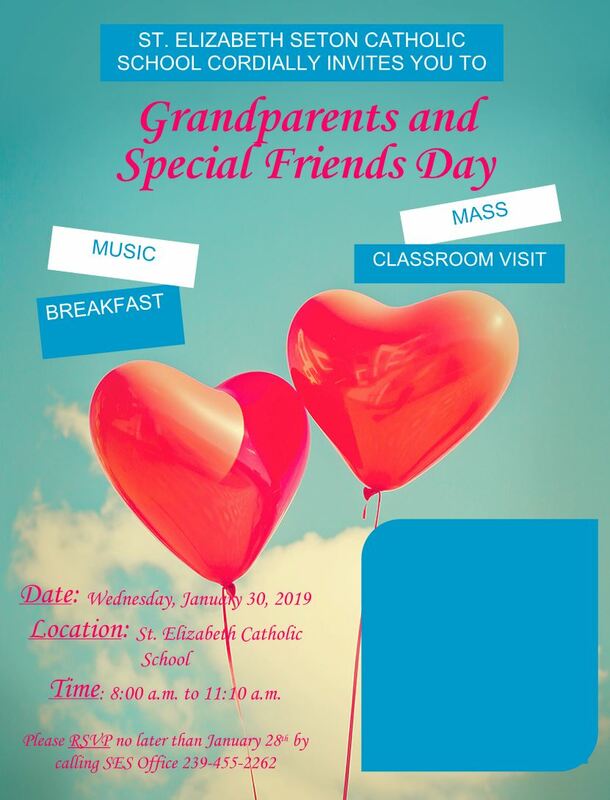 GRANDPARENTS & SPECIAL FRIENDS DAY ~ Wednesday, January 30th. 8:00 to 11:00 a.m. RSVP by January 28th. Grandparents and/or special adult friends of students are cordially invited to participate in this event! Our students are so excited to share their day with the special grownups in their lives! 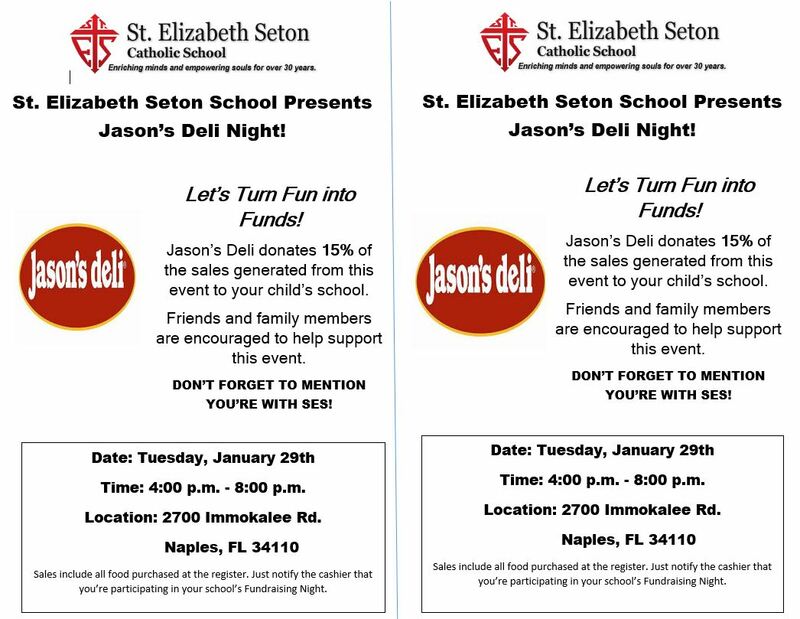 JASON’S DELI RESTAURANT NIGHT ~ Tuesday, January 29th 4:00 to 8:00 p.m.
Spring Concerts – Mark Your Calendars! 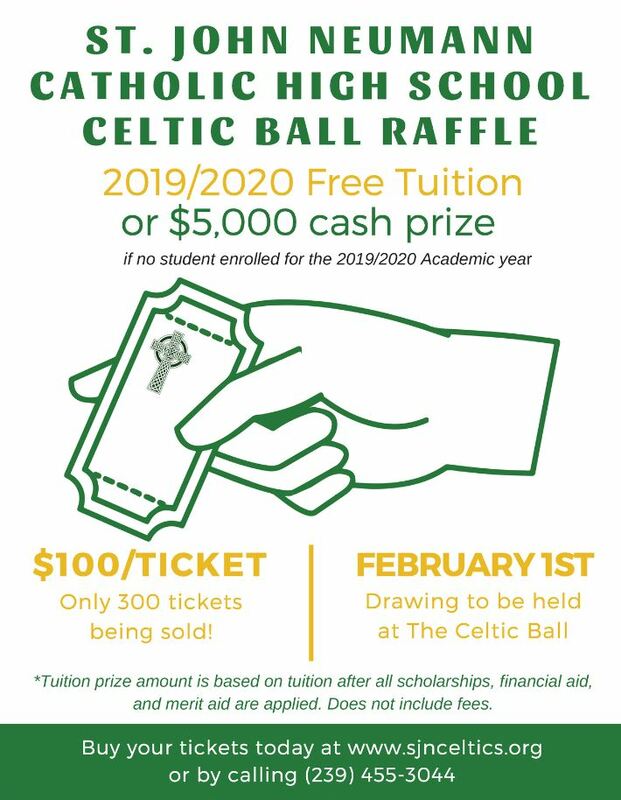 Please see the attached announcements regarding the SJN Celtic Ball on February 1st, and a fabulous Tuition Raffle. Children can be picky eaters. Introduce new foods to kids when they are hungry or as an appetizer at the beginning of a meal. They are more likely to try something new and nutritious when they have an empty belly.